A key component of accessibility is vertical access between changes in level along accessible routes. 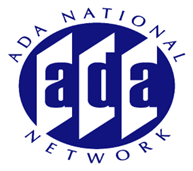 This session will explain where vertical access is required (or exempted) in the ADA and ABA Accessibility Standards and how it can be achieved. Presenters will review requirements in the standards for ramps, curb ramps, elevators, and platform lifts, clarify common sources of confusion, and address questions submitted in advance or posed during the session.